Our Alien stress ball is a distant cousin of ET! 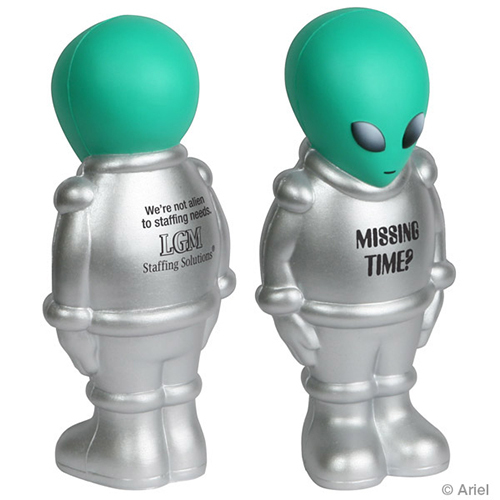 You can custom imprint an alien stress reliever with a business message or catchy phrase. These alien stress balls are fun promotions to hand out at trade shows, special events and parties. Squeeze these little guys as much as you want, and don forget to phone home! Item Size : 2" x 4-1/2" x 2"